On my morning walk and heading home, I spot a group of people gathered at the edge of a field of garlic. 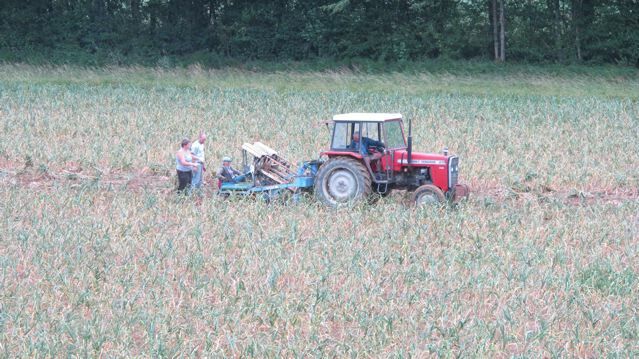 It is 8 o’clock and the sun is already promising a hot day–time to start lifting the garlic. The harvest happens in two stages. In late May I noticed similar groups of people early one morning–more warmly dressed–who spent the day slowly making their way through the field, painstakingly snipping off the scapes of the plants. They make good eating–if you can find them–in a salad or an omelette. 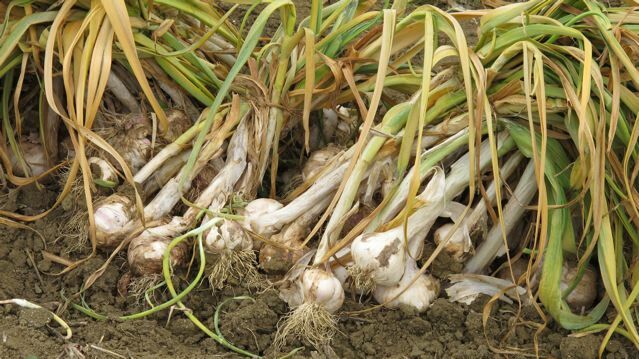 The plants are then left a month to allow the bulbs to swell before the harvest. Our friend, Sophie, tells me the white is lifted [arraché] first, then the violet and last the pink–which is the best she says (she would, she’s a Lautrecoise!). Some years ago l’ail rose de Lautrec achieved Label Rouge status, which officially guarantees a level of excellence. Not long after buying the house–we took some to California, where Meredith’s green fingered brother-in-law planted it and latr won first prize in the Marin County Fair! We told the story to the farmer in the next hamlet, thinking he might be amused. After a long pause and looking like thunder, he growled—“C’est interdit!”[It’s forbidden!]. 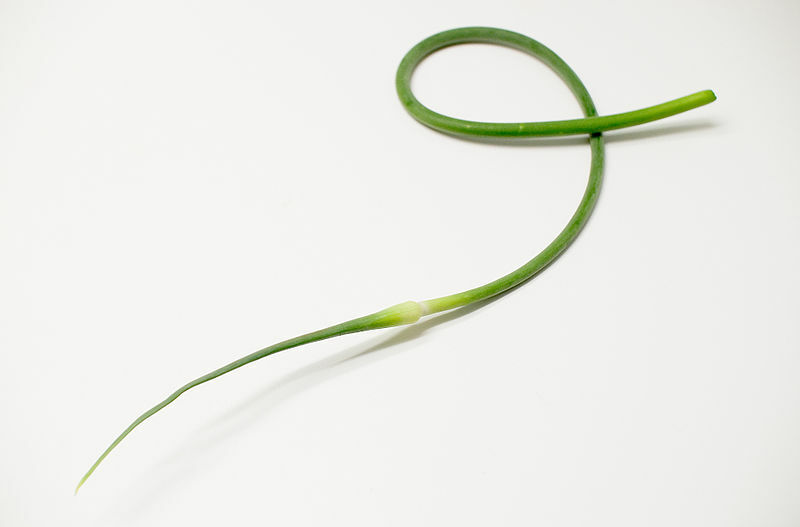 “Don’t mention the garlic!”–[apologies to Fawlty Towers]. 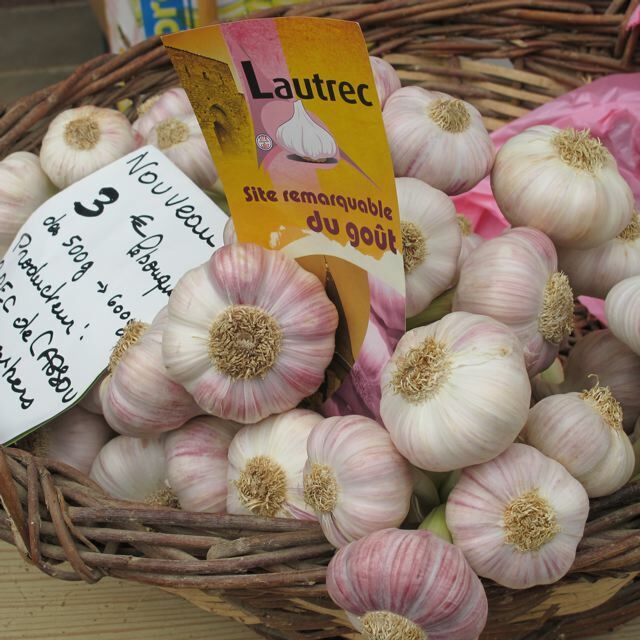 In sleepy Lautrec, on the first Friday in August–the annual Garlic Festival–ten thousand people teem slowly through the narrow streets heading for the main square and a bowl of delicious garlic soup [soupe à l’ail]–ladled out FREE at noon. I shall enjoy the research! 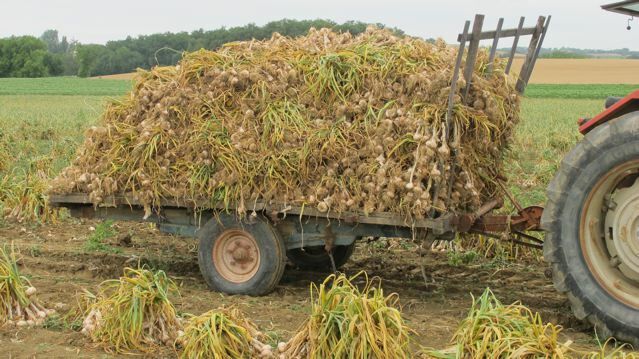 The garlic looks amazing – and harvested much earlier than over here in Blighty. I shall look to smuggle some back next time I am in France! May I ask a question, on behalf of a friend, who has just picked up a DVD of The Moonstone? She would like to know where the location filming was done, please. If I am able to pass on the answer, she may let me watch it! We went to Northumberland, north of Alnwick, to search out thatched cottages and the beautiful beaches. I liked it very much–but it was a long way from London.